An accomplished guitarist, with more than forty years knowledge. Robert has worked throughout Ontario, Quebec and Upper New York State. He has played for some of Canada’s most well known influential people and groups. Involved in music from an early age, Robert’s musical background created an interest strong enough to pursue schooling. At the beginning of his career his first influences were certainly the Beatles, then came Django Reinhardt followed by George Benson and everyone in between, but most important and without a doubt, being around professional musicians helped him develop his own musical identity. His style is versatile and easy listening. Robert creates the ambiance you need to enhance your evening or to make any of your special events successful. 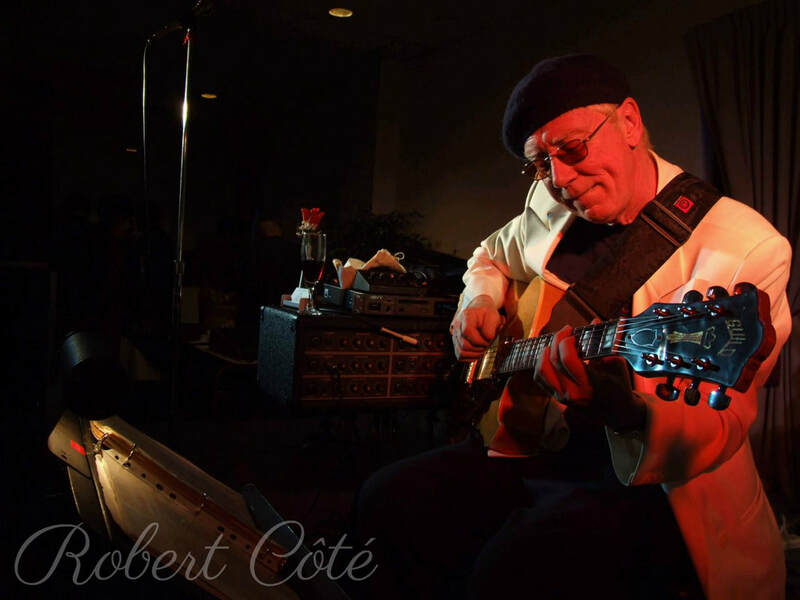 We are honoured to represent such an accomplished musician and know that Robert will bring a touch of class and pizzazz to your next event. For your next cocktail party, private or corporate event book Robert Côté !